By Guest Blogger Kathleen Hubert. Many can list Walt Disney’s accomplishments as easily as they might list items on a grocery list. Disney created Mickey Mouse. He produced the first full-length animated movie. His amusement park, Disneyland, became the first theme park. Disney formed the first multimedia corporation. Disney’s achievements are truly impressive, but more impressive still may be the impact that he and his company have made upon the world and world culture. Mickey Mouse, Disney’s first unqualified success, appeared at a time when the world was in the first throes of the Great Depression. Mickey’s indomitable spirit, as well as the technological advances that Disney displayed in those first cartoons, struck a chord with movie-going audiences seeking signs that neither the human spirit, nor humanity’s ability to progress into the future, had been irreparably damaged by hard times. People became invested in Mickey Mouse. In rooting for Mickey, audiences were cheering on their own success as well. 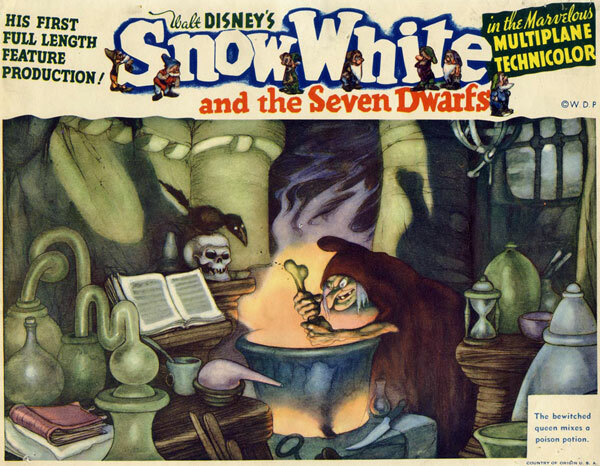 Snow White and the Seven Dwarfs, released in 1937, was the first full-length animated film produced in full color. If Mickey Mouse had symbolized a hope that the human spirit could overcome obstacles, Snow White and the Seven Dwarfs seemed to prove it. The message that good could prevail against evil, without sacrificing qualities like innocence, loyalty and friendship, was a message sorely needed on the eve of World War II. The Snow White movie was based on a fairytale published by the Brothers Grimm, two sibling German academics who collected folklore. These fairytales were the myths of Germanic culture, and as myths, were ripe with symbolic meaning. Disney, whose talents lay more in technological artistry than in narrative, would turn again and again to fairytales for ready-made stories, often stripping away the sometimes dark and violent aspects of the original tale for his family-oriented audiences. For generations, parents had repeated folkloric tales to their children as a family tradition. After Disney, stories told to children would undergo a dramatic change. Today, fairytales are more likely to reflect Disney’s modern sensibilities. This came about, in part, from Disney’s business acuity. Disney was savvy enough capitalize on relatively-new genre of family films. While Disney is sometimes considered a champion of mainstream values, his personal interests always lay more with technology and innovation. Nothing illustrates Disney’s fascination with technology as does his movie, Fantasia. A life-long music aficionado, Disney pushed forward technology to enable Fantasia become the first commercial film screened in stereophonic sound. The extent to which Disney established a high standard for technical achievement in the film industry – and in the entertainment industry as a whole – cannot be underestimated. This standard of excellence affected higher education as well, establishing new curriculums in colleges and universities. Disney himself founded the California Institute of the Arts in Valencia, California, not only contributing substantial funds to the college during his lifetime, but leaving one fourth of his estate to the institution when he died. Throughout his life, Disney remained committed to family entertainment. Disney embraced television early on, using the medium to build his multimedia conglomerate. In the early Fifties, Disney began to envision an amusement park that would provide families with a safe and clean alternative to midway and country fairs. He purchased 160 acres of land in Anaheim, California, and with a fresh palette before him, focused as much on urban planning as he did on the individual attractions. Disneyland illustrates many aspects of Disney’s personality. The park opens on an idealized “Main Street,” a portrayal of small town America that evokes images from American cinema as much as it does reality. That Disney was partial to Main Street cannot be denied – he kept offices in the park overlooking it – yet only a few steps away from Main Street is “Tomorrowland,” representing Disney’s enduring fascination with technology. Disney’s commitment to family and to the future has surely impacted all of our lives. This entry was posted in Disney World, Disneyland, General by Guest. Bookmark the permalink. Do y’all happen to know WHY Walt Disney and Mickey Mouse: A Cultural Transformation is a turning point in history? Please answer i really need to know before this wednesday, PLEASE. this will help a lot in my Social Studies Turning Points in History project. Thanks!!!! do you think you can help my friend and in with a history fair in middle school about walt disney?? I’ve never been to Disney World but plan on going in the next year or so. I’ve also heard that it is really fun. My cousin went this past Summer and had an amazing time. i freakin’ LOVEEEEEEE disney!!! and billy bob lol but fur real… i am in love with the disney princesses i have been everyone for halloween. A y’all need to stop saying that your doing this as your history project for Middle School my middle school rules and alot of us are doing this soooooo yeah. who gose to James Weldon Jhonsen Colleg prep middle school in the 6th grade? i need good info 4 my history fair project!!!!!!!!!!!!!!!! Listen guys the turning point in history is that Disney’s imagination turns into reality. Im doing my project on Television In The 1950s and The Transformation and Im doing Walt Disney and Mickey Mouse: A Cultural Transformation. When Disneys imagination turned in to reality.Reality means real. Soooo tv. shows..Disney princesses Disney MICKEY MOUSE!! Using Mickey Mouse it inspired other people in which they kinda let up off the Great Depression. I hope this helps you !!! It changed the facew of cartoons too !!!!!!!!!!!!!! Ok im done.. Btw its right there in the title! how many of you are from metzger?? On December 5, 1901 Walt Disney was brought into this wonderful world. On November 3, 1918 he attended a youth school and army. On August I, 1920 he made his first cartoons. On January 1, 1924 he went to Hollywood! on march 22, 1932 he got his first academy award. i like this websight very much and my name is nick cooke!! I LOVE WALT DISNEY AND MICKEY MOUSE! SO DOES MY GIRLFRIEND! Can you tell me what the “turning point” is? Can i get the author’s email address & URL (website address)? It’s for my social studies project i need all this info. 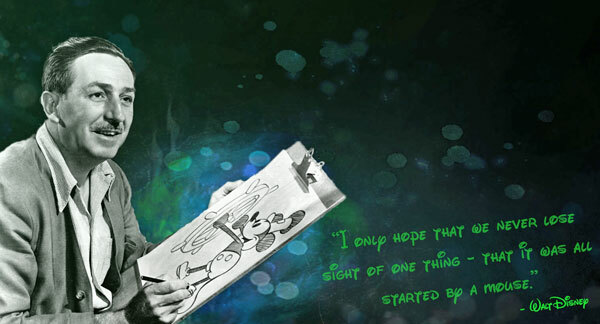 Walt Disney is a person who inspired, influenced, and inquired many people to discover more about their imagination and confidence in themselves. I think that by just going to DisneyLand and DisneyWorld has opened up my imagination and my thoughts in general is so many ways! I totally suggest researching beyond this website and find out even more about the amazing Walt Disney and all of his creations and ideas.